Developed by Blue Manchu. Published by Blue Manchu. Released September 12, 2013. Available on PC/Mac via Steam and Browser. Game content codes provided by publisher. Editor's Note: We've broken the article into two pages, with the first page being predominantly exposition about the game and the writer's previous experiences around the title. 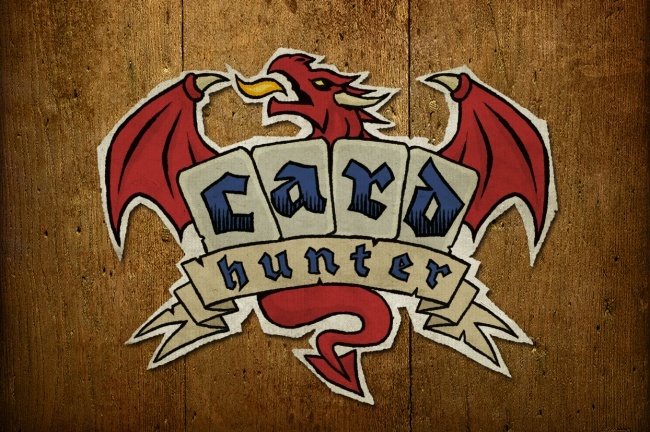 Click here to skip to page 2 for gameplay details about Card Hunter. People have been telling me to check out Australian dev studio Blue Manchu's Card Hunter for years, but I've avoided it until recently. The name and very brief description led me to assume it was some sort of CCG genre spinoff, which I try hard to avoid, given the obscene level of investment I've made in both Magic and Hearthstone, and I simply don't have the budget to support my collector's obsession with any more games. It started as a browser game as well, which I'm instinctively skeptical of, despite intellectually knowing that browser doesn't necessarily mean bad these days. Quite recently, my wife and I saw Loot and Legends on the iPad and decided to check it out. It was simple, accessible, and quite fun, so we started talking about it around Escapist HQ. To my surprise, everybody I spoke to immediately heard the description and started talking about Card Hunter, which they'd mostly all played by this point. It turns out, Loot and Legends is just the mobile port of Card Hunter, rejiggered by DropForge for iOS, and simplified to a fairly large extent. With this new info, I looked up Card Hunter for a bit more detail, and even at a glance, I could see it had substantially more depth to it than the iPad version. I absolutely recommend Loot and Legends for those who predominantly multitask their media consumption. Its simplified structure lends itself to being played while watching a movie or TV show. 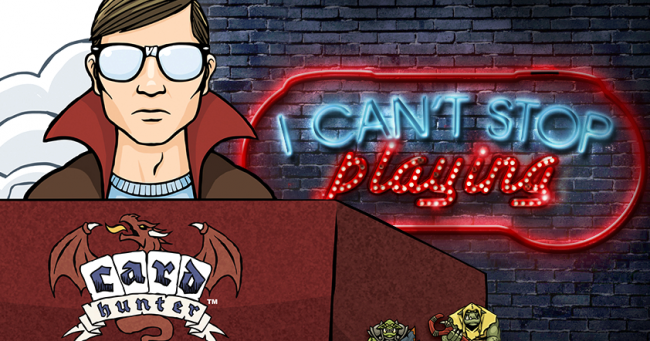 If you want a standalone gaming experience, though, Card Hunter is worth looking into. It's worth noting that in doing a bit of research, I learned that Dr. Richard Garfield, the mastermind responsible for creating Magic: the Gathering, which is no small thing, consulted on the game. Magic reportedly has 20 million players worldwide at this point, and continues to be corporate behemoth Hasbro's biggest brand. It's easy to see the influence that Magic had on Card Hunter's design, in addition to a heavy inspiration from Dungeons and Dragons.